You will love Brandi earrings for their extraordinary design. 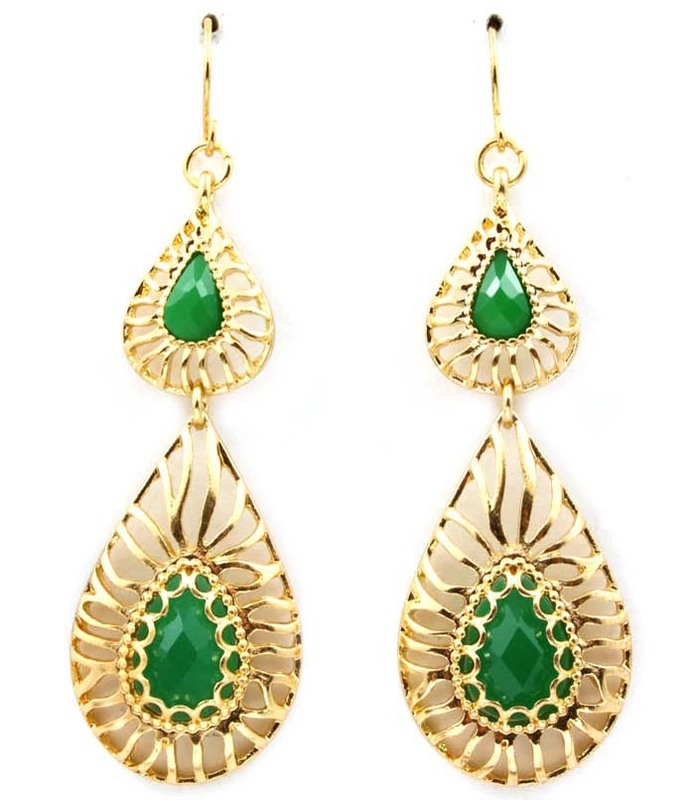 The earrings consist of two pear-shaped metal frameworks with a teardrop green faceted crystal in the center. Hook fastening. You won't find such a diverse and extensive range of cheap jewellery online anywhere else. We hope you enjoy your shopping with us.